Eurosport has come on leaps and bounds since it started on 5th February 1989. Here are some promos from their first birthday. I’m a nerd for 90s TV adverts and idents. Although the 00s were my teenage years, I still remember the 90s fondly as a young child. I only had cable TV until I was 6 and even then I didn’t have the sports channels so I missed stuff like Sky Sports and Eurosport. Thank goodness for YouTube. TV channel promos were gaudy affairs: bright lights, CGI shapes flying across the screen, harsh percussive music with cheesy piano music. A lot of money was ploughed into them and they needed you to watch. 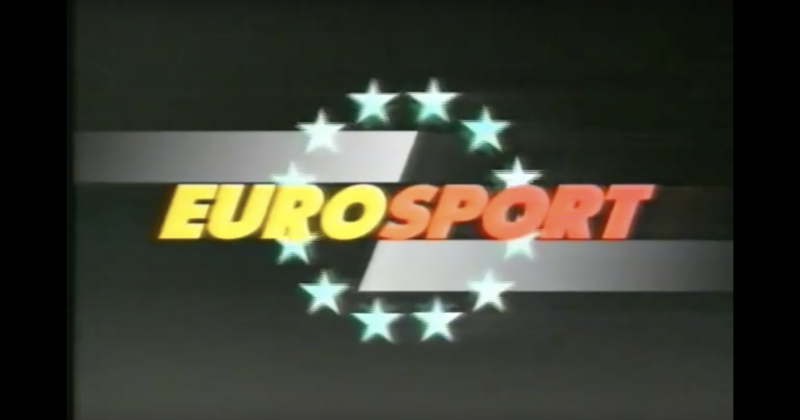 Eurosport was no exception when they started in 1989. The network came out of a way to circumvent restrictions to sports broadcasting rights. The European Broadcasting Union had acquired rights but members could broadcast parts of them. Sky became a commercial partner, and the Eurosport channel launched on 5th February 1989. But tragedy struck in 1991. A rival channel complained to the European Commission about their structure and they were closed down. France’s TF1 Group replaced Sky as co-owners and broadcasting was resumed. TF1 would later take full ownership 10 years later. But you’ve probably heard enough about European bureaucracy for a lifetime. Those promos! The violently clashing colours dazzled from the get-go. And that voice will be familiar to Sky Sports viewers as he did the idents for them too. This was followed by a brief weather report, later dropped from the channel. And then a happy birthday announcement and competition. How many times did he say Happy Birthday Eurosport? And let’s not forget that competition prize: a lurid ski jacket modelled by what appeared to be a sentient mannequin. The Eurosport graphics changed many times after the first year, with the most recent alteration – arguably its biggest since creation – taking place in 2015. Do you have any fond memories of Eurosport in the 90s? Let us know in the comments and stream the promos below.